Is the Rockstar Consortium Apple's secret weapon in the patent wars? The Rockstar Consortium made headlines when the group won a bidding war for the patent portfolio of one-time communications giant Nortel. Aside from getting a green light for the purchase from the Department of Justice, Rockstar hasn’t really made headlines since it won the patents. 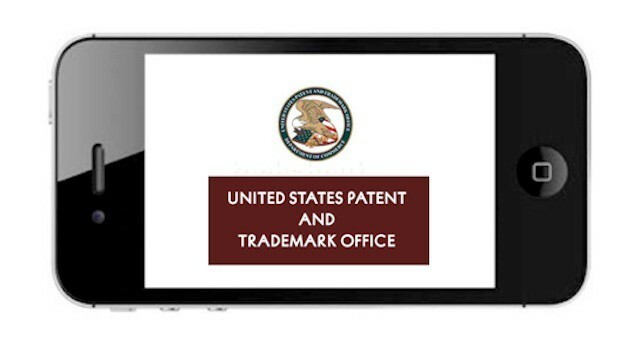 Rockstar may be keeping a low profile right now, but the company is well armed and will play a massive role in the mobile technology patent battles echoing around the world. In fact, the company may very well have been a secret weapon in Steve Jobs’ plan to “go thermonuclear” in Apple’s battle against Android. The Rockstar story, is a fascinating and somewhat convoluted one that begins with bankruptcy of Nortel – once one of the biggest networking companies on the planet. Nortel ushered a lot of new technology into the world beginning in the nineteenth century as an arm of the Bell Telephone Company of Canada. It goes without saying that a company that spent more than a century developing telecommunications and networking solutions would have built a massive patent portfolio. When Nortel filed for bankruptcy, the company’s John Veschi had been in charge of its patent licensing operations for only six months. Veschi combed through Nortel’s nearly 9,000 patents to build a portfolio of 6,000 patents that could be sold to the highest bidder and managed to stoke interest in it from some of the biggest tech companies in the world. Veschi’s efforts saw the portfolio purchased for $4.5 billion – more than three times the value of the Nortel’s various departments, products, and services at the time of its bankruptcy. The bidding war was eventually fielded by two groups. Rockstar was one of those groups and represented Apple, Microsoft, RIM, Sony, and Ericsson. A competing group known as Ranger was the combined forces of Google and Intel. Rockstar won and one-third of the portfolio went to its constituent companies while the rest was taken over by Rockstar itself, which became a patent company in its own right. Rockstar, as it exists today, has the authority to make deals or sue companies that infringe on the 4,000 patents it kept. When DOJ signed off on the on the deal earlier this year, they did so after Apple and Microsoft both agreed to license any core wireless patents under reasonable terms to companies that needed them. The fact that Rockstar, which also ended nabbing more networking patents from Novell, is now a separate company means that it isn’t bound by such an agreement and it can enforce the remaining patents in ways that Apple, Microsoft, and RIM might be unable to do legally. Rockstar’s Ottawa office is almost like the NORAD of the patent wars. The company’s small team (32 employees in all, one-quarter of them lawyers) is constantly examining its ammunition and the technology products and services on the market around the world. It exercises those patents to make money through licensing deals. It can, of course, also use them in lawsuits like the ones going on between Apple various Android manufacturers. There’s another parallel between NORAD and Rockstar. NORAD is built inside a mountain, making it pretty much impenetrable and safe from attack. Rockstar doesn’t make products or offer services based on the patents that it owns. That means that if it sues a company like Samsung or HTC or even Google, there’s no real option for a patent-based countersuit. There’s no way that Rockstar can infringe on another company’s patents because it doesn’t make or sell anything – effectively this makes it safe from attack. What does this mean for the patent battles going on around the globe? That isn’t clear. Rockstar could mount an offensive in court and would stand a good chance of winning or getting a significant settlement. Is Rockstar willing to charge into battles on behalf of the companies that created it? No one knows – but whatever choice the company makes, whether it’s to charge in, lay low, or find some middle ground, the decision will have a massive impact the mobile industry that will reverberate for years or even decades.